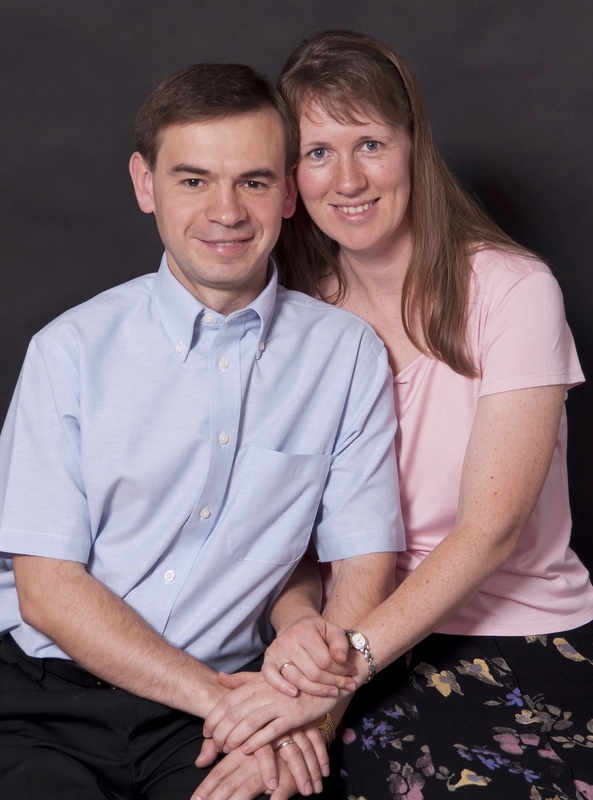 Yura is a native Ukrainian who has been preaching and teaching the Bible in Ukraine for the past 26 years. In 1997, Yura accepted the call of God on his life to translate the Bible into his mother tongue. Following 8 years of university study, Yura now works full-time to provide an accurate translation of God’s word for his people (for more details, see Yura’s Testimony and Calling). Wendy is from California where she was active in a wide variety of her local church’s ministries. 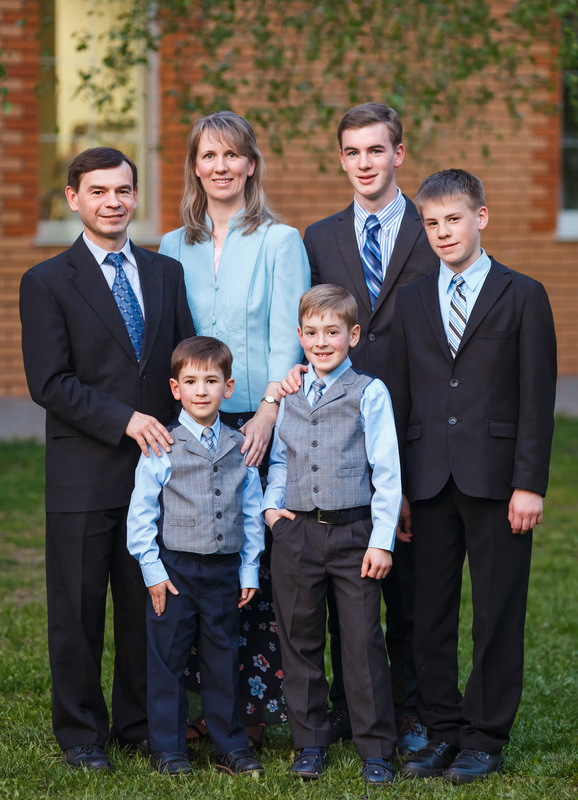 Wendy has made missions trips to Mexico, Ukraine and Southeast Asia. In 1999, she returned to Ukraine for extended missionary work. Yura ‘redirected’ her mission by asking her to become his wife. Yura and Wendy married on September 30th, 2000 (for more details, see Wendy’s Testimony). Since Ukrainians lack a trustworthy and accurate Ukrainian Bible in standard Ukrainian, Yura wants to provide them with one (more about it in The Need for the Ukrainian Bible). In order to equip himself for translation work, in 1998 Yura enrolled in Kyiv State Taras Shevchenko University majoring in Ukrainian, Greek, and Latin. In 2003, he graduated from this university receiving a master’s degree in Ukrainian and Classical Philology. After finishing his studies in Kyiv, Yura was able to translate the gospel of John before moving to Russia to continue his education. (This gospel is currently in its third printing.) In 2007, he completed his Hebrew and Aramaic studies at Russian State University for the Humanities in Moscow. The Popchenkos have since relocated back to Kyiv and Yura has resumed translation work. So far, the entire New Testament and two books of the Old Testament (1 Samuel and Ruth) are ready in various stages. Together with him works a team of assistants who include a person with a PhD in Greek and lay Christians as reviewers. In 2011, the Gospel of Mark was published and distributed among Ukrainians in Ukraine and the USA for the purpose of survey. The results of the survey were very encouraging: 98% of the participants liked the translation (entirely or overall) and 87% are likely (with various degrees of probability) to switch to it when the whole Bible is ready. 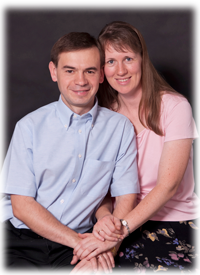 In 2014, Mark and John were published in one booklet and are being used in various evangelistic efforts. In 2017 the trial edition of the entire New Testament was published and distributed among preachers and pastors for feedback. Right now, we are reading though it again, processing feedback, and editing and preparing it for final publication. The Popchenkos currently live near Kyiv, Ukraine. Yura and Wendy have four sons: Sashko (01/18/02), Yurko (06/17/04), Andriy (08/26/08) and Matviy (02/28/11). The family is actively involved in a local Baptist church. Yura preaches regularly, the three older boys play in a string ensemble, and the eldest also sings in the choir. Wendy and the boys speak fluent Ukrainian and some Russian.